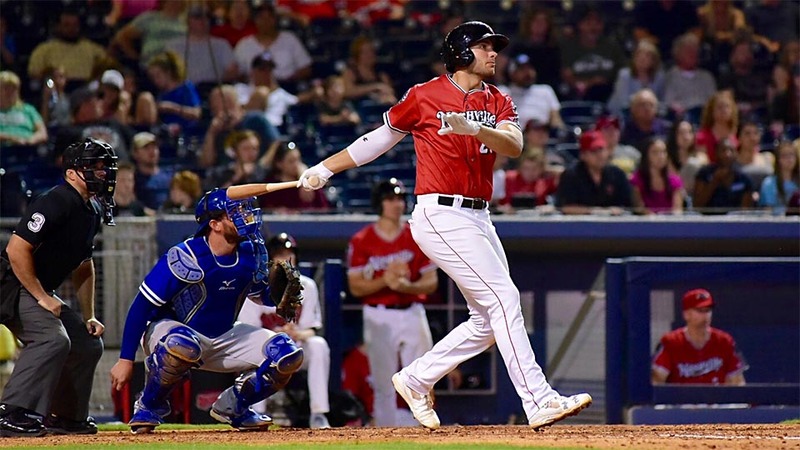 Nashville, TN – The Oklahoma City Dodgers spoiled the first sellout of the 2017 season at First Tennessee Park with a 3-2 win over the Nashville Sounds in front of 10,717 fans Friday night. With the score even at 1-1 in the eighth inning, Oklahoma City’s Alex Verdugo lifted a fly ball in the direction of Nashville’s Matt McBride. The ball glanced off the left fielder’s glove and allowed two runners to score on the E-7. Bobby Wahl limited the damage to the two unearned runs, but it was enough for the Dodgers. Matt Olson launched a solo homer in the bottom of the ninth but the comeback fell short. 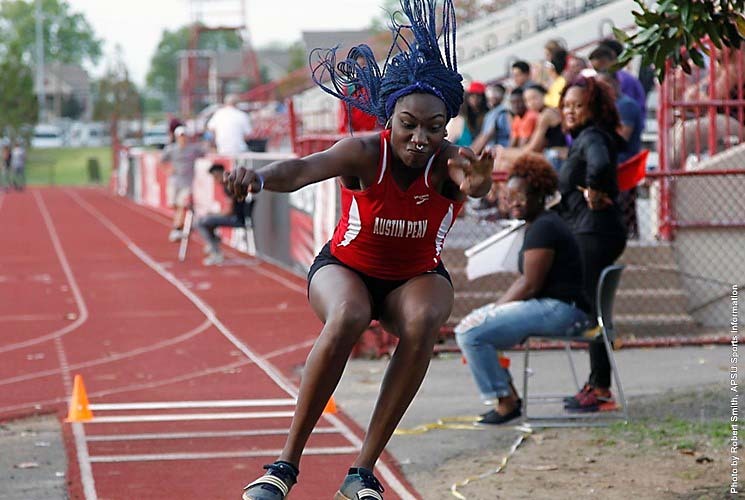 Clarksville, TN – Three wins gave Austin Peay State University track and field a tremendous start to its annual home meet, the APSU Invitational, Friday evening at Fortera Stadium. 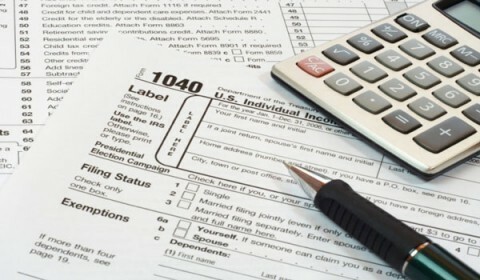 Nashville, TN – The Tennessee Department of Commerce & Insurance’s (TDCI) Division of Consumer Affairs reminds residents that beginning April 2017, the Internal Revenue Service (IRS) plans to use four designated private agencies to collect certain overdue federal tax debts on the government’s behalf. 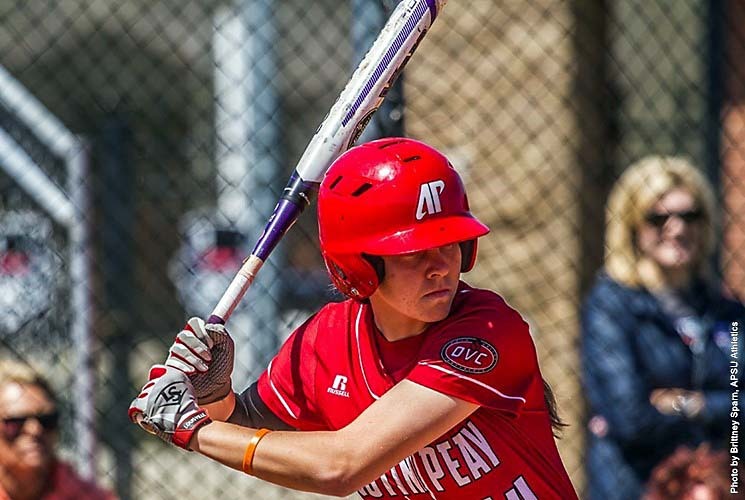 Jacksonville, AL – Austin Peay State University’s softball team rallied from three runs down in their final at bat to have the potential tying and go ahead runs on base, Friday afternoon at University Field versus Ohio Valley Conference leading Jacksonville State, but couldn’t come up with that final big hit to fall 4-3 after dropping the opener 7-0. 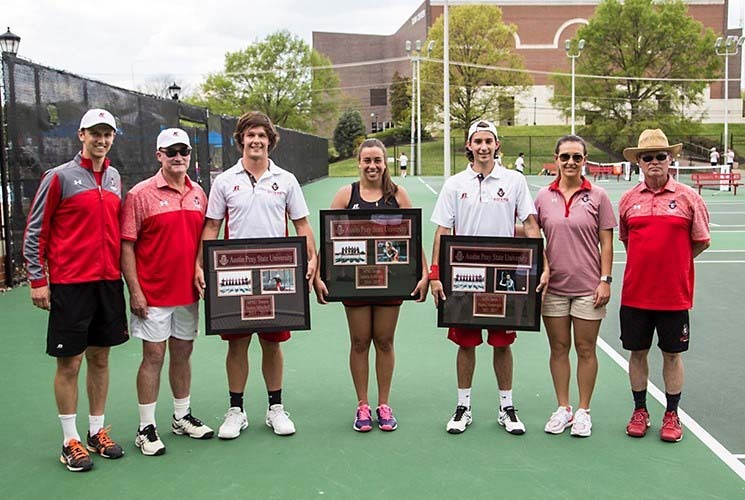 Clarksville, TN – The Austin Peay State University men’s tennis team picked up a big 4-3 win over Eastern Kentucky in an Ohio Valley Conference match Friday afternoon at the APSU Tennis Courts on Senior Day. APSU won the doubles point when Aleh Drobysh and Almantas Ozelis won their No. 1 match 6-3 followed by a Manuel Montenegro and James Mitchell 6-4 win at No. 2 to clinch the point. 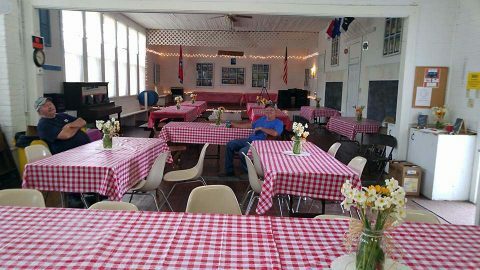 Palmyra, TN – The Palmyra Union Community Center will be holding a Fish Fry Fundraiser this Saturday, April 15th, 2017 from 4:00pm until 7:00pm. There will even be an Easter Egg hunt for the children. Fish Fry Fundraiser to be held tomorrow at the Palmyra Union Community Center. 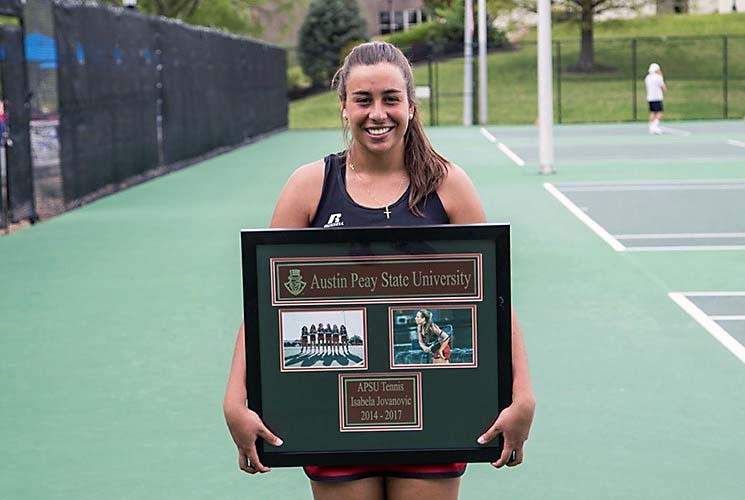 Clarksville, TN – The Austin Peay State University women’s tennis team dropped its regular season finale Friday afternoon 5-2 to Eastern Kentucky in an Ohio Valley Conference match on Senior Day. 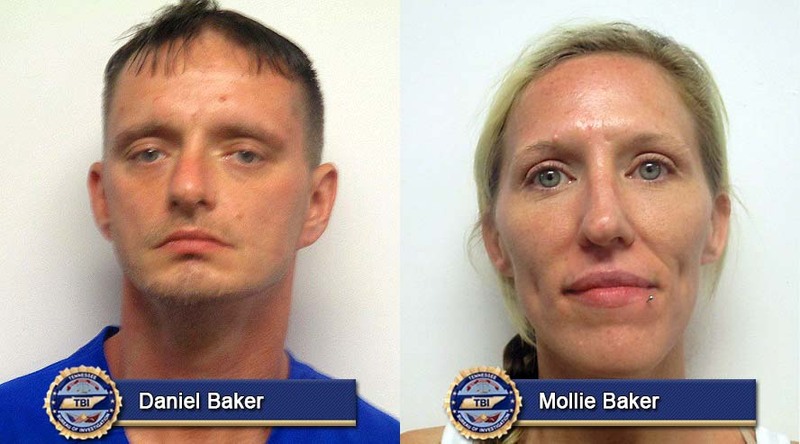 Nashville, TN – An investigation by Special Agents with the Tennessee Bureau of Investigation and Cheatham County deputies has resulted in the arrest of a Fairview, TN couple on charges stemming from a shooting death last December. At the request of 23rd District Attorney General Ray Crouch, on December 2nd, 2016, TBI Special Agents joined deputies with the Cheatham County Sheriff’s Office in investigating the shooting death of Gregory Jonathan Sanders. Daniel Baker and Mollie Baker have been arrested for the 2016 murder of Gregory Sanders in Cheatham County. Clarksville, TN – The Austin Peay State University baseball team will welcome military personnel on Friday, April 21 for Military Appreciation Night at Raymond C. Hand Park. The night will be filled with special events all designed to thank our military personnel for their courageous service and commitment. 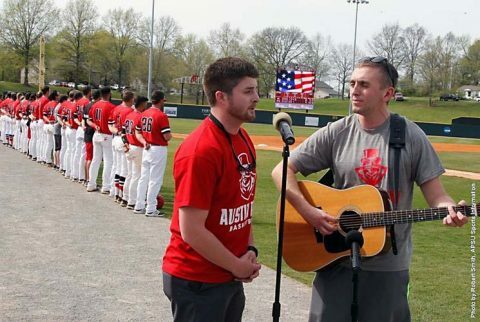 On Friday, April 21st, Austin Peay Baseball will host Military Appreciation Night at Raymond C. Hand Park. 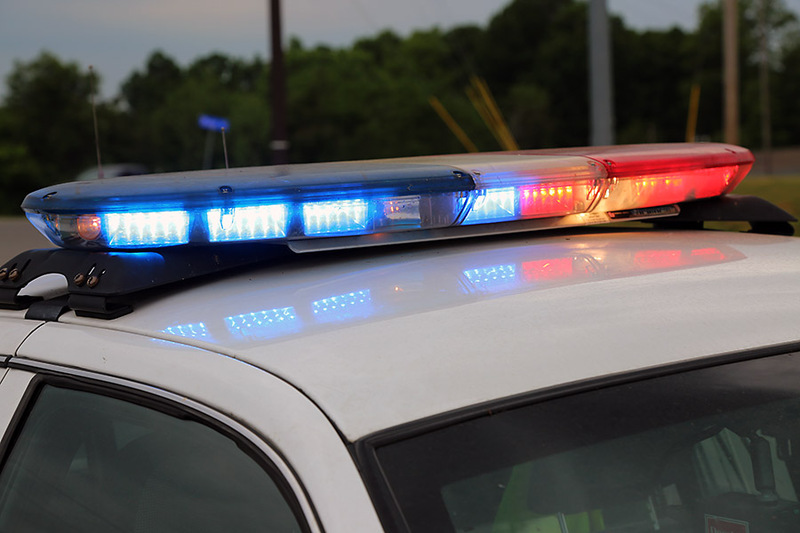 Clarksville, TN – Shortly after the media’s airing of the “Public’s Awareness of Suspicious Activity” information, the man owning the Hummer H2 contacted Clarksville Police to let them know what actually occurred at Market Street and E Street on April 13th, 2017 at approximately 8:48am. He told Detective Jobe he was headed over to his mother’s house, who lives in the area. He pulled up to the intersection not realizing cars were waiting for the school bus to arrive and started motioning for the cars to move, at which time, the man saw the 7 year start to run down Market Street. Clarksville Poliice reports Suspicious Activity at Market Street and E Street was thankfully a false alarm.